Audio player not supported. Please update your browser. 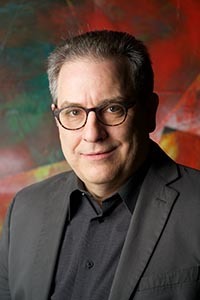 Edward Smaldone is Professor of Music Theory and Composition at the Aaron Copland School of Music, Queens College, having joined the fulltime faculty in 1989. He was also the Director of the School and Chairman of the faculty from 2002 - 2016. During his tenure as Director, the School of Music nearly doubled its enrollment, developed 4 new Certificate programs in Performance, launched 3 Master of Music Degrees, instituted private lessons for all Music Major undergraduates, oversaw the hiring of 13 Music faculty, supervised installation of "smart room " technology, launched a digital Recording Certificate, developed and expanded the first online courses in Music, developed new techniques for the inclusion of Google Classroom in Theory and Ear Training classes, developed international Exchange agreements with the China Conservatory, the Perugia Conservatory and the Danish Royal Academy of Music, established (and taught) regular Study Abroad Programs, oversaw the purchase and acquisition of $.5 million in new pianos throughout the building, supervised two self-studies, including the School of Music's application for membership to NASM (the National Association of Schools of Music) and increased Endowment accounts for Music Scholarships from $2.5 million to nearly $5 million. He is currently back on the teaching faculty and serving as an Associate Director of the School. Prof. Smaldone is a graduate of Queens College (BA '78, MA '80) and holds a Ph.D in composition from the City University of New York Graduate Center (1986). His composition teachers include George Perle, Ralph Shapey, Henry Weinberg and Hugo Weisgall. He also studied Music Theory, Analysis and Music History with Sigmund Levarie, Carl Schachter, Charles Burkhart, Saul Novack, Henry Burnett, Joel Lester, Edward Lerner, and Barry Brook. In 2016 he was honored by his Alma mater with the John Castellini Award, given each year to a distinguished Alum. He was also named the 2016 "Composer of the Year" by the Classical Recording Foundation at their annual Gala at National Sawdust, in Williamsburg. Other awards include the Goddard Lieberson Fellowship from the American Academy of Arts and Letters, as well as grants and awards from ASCAP, the MacDowell Colony, Yaddo Corporation, the Charles Ives Center for the Arts, the Percussive Arts Society, and the American Music Center. His music has been performed by the Munich Radio Orchestra, Denver Chamber Orchestra, Memphis Symphony, Queens Symphony Orchestra, Oberlin New Music Ensemble, The New York Virtuoso Singers, the Florilegeum Choir, League/ISCM Chamber Players, Peabody Camerata, Stony Brook "Premieres!" Ensemble, Oratorio Sinfonica Japan, the EOS Orchestra of Beijing, China, the Chicago Composers Orchestra, and many other soloists and ensembles in the United States, Canada, China, Japan and Europe. An active composer for the dance, Prof. Smaldone has arranged music by and attributed to Pergolesi which has been performed worldwide by Mikhail Baryshnikov's White Oak Dance Project. Other collaborations have been with the Hartford Ballet and dancer-choreographer Yin Mei. 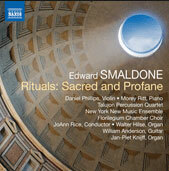 Smaldone's compositions have been recorded on the CRI, New World, Naxos, Capstone and Ablaze labels. His recent composition "The Beauty of Innuendo" was performed by orchestras in Japan, Chicago, New York, the Czech Republic and China. He is the co-author (with Perry Goldstein) of the last two revisions of "A New Approach to Sight Singing," W.W. Norton. 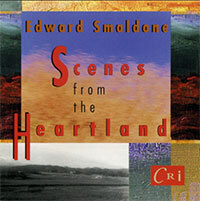 “Edward Smaldone's work The beauty of Innuendo …is reminiscent of both Sibelius and Douglas Lilburn, with its brilliant brass, high wind writing and cells of notes that gradually build into a longer phrase.